At 10Backward we like to break up our grim and epic discussions of War! with lighter moments… and what’s lighter than a Ferengi episode? But is this just a Ferengi episode? Or is it, finally, the real truth of what happened at Roswell? 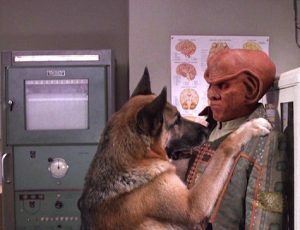 Weather balloons are not the answer… Join us as we mark the recent anniversary of the Roswell incident with the chain smoking army, 3 time displaced Ferengi and Odo as a dog!